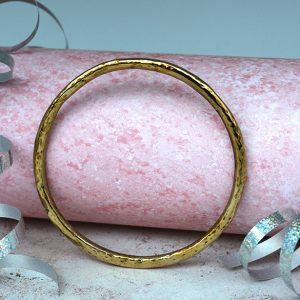 Our Bronze Bangle, perfect for your 8th (Bronze) Anniversary. 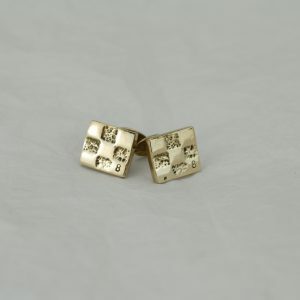 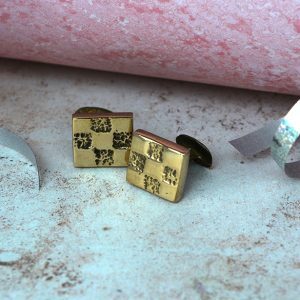 Bronze Check Cufflinks for the man in your life. 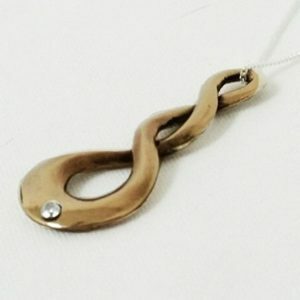 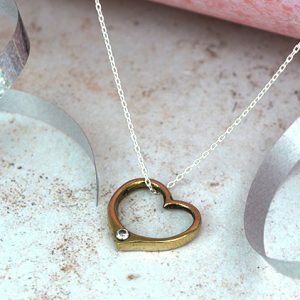 A simple stunning off shape necklace. 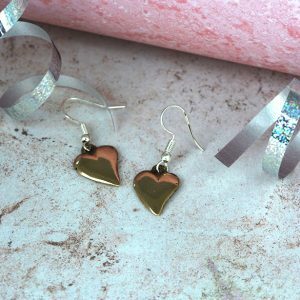 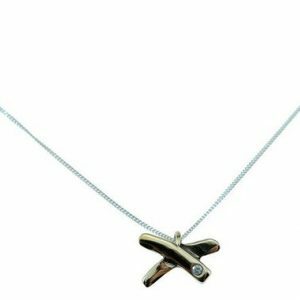 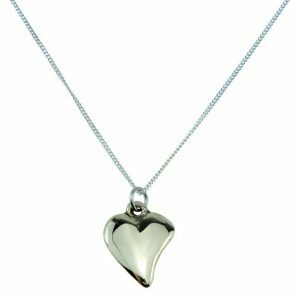 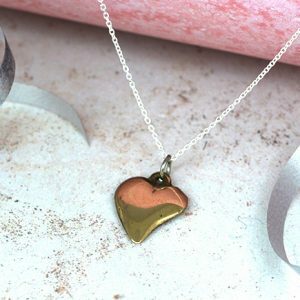 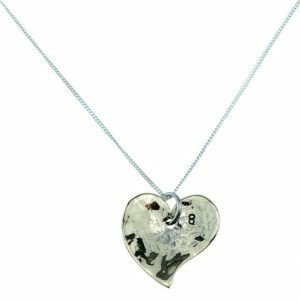 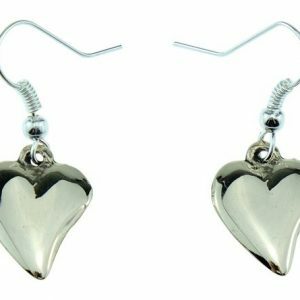 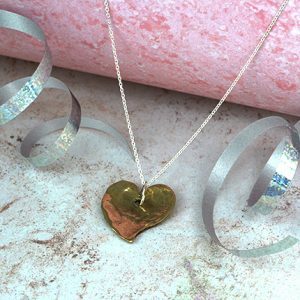 The perfect gift for your anniversary this year, our bronze heart diamond necklace. 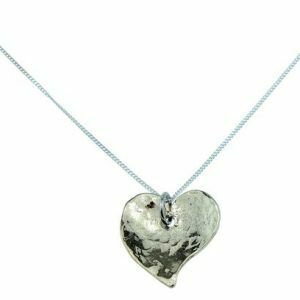 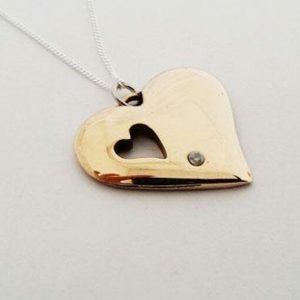 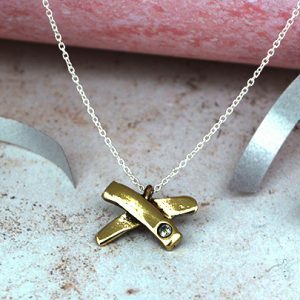 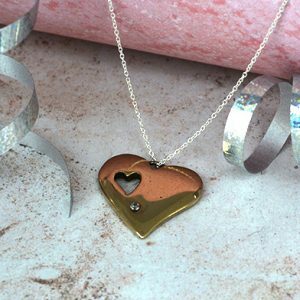 A modern and timeless bronze heart necklace with an embedded diamond.